Chris Snyder has an unusual background that led him to a career in safety. Early in his career, he was a computer animation guru. It just so happened that he was working on safety posters and videos that led to his interest in the field of safety. He is a jack of all safety trades: author of safety manuals and expert in safety improvement, Snyder has spent most of his 30+ year career in the aviation sector helping companies implement a culture of safety. 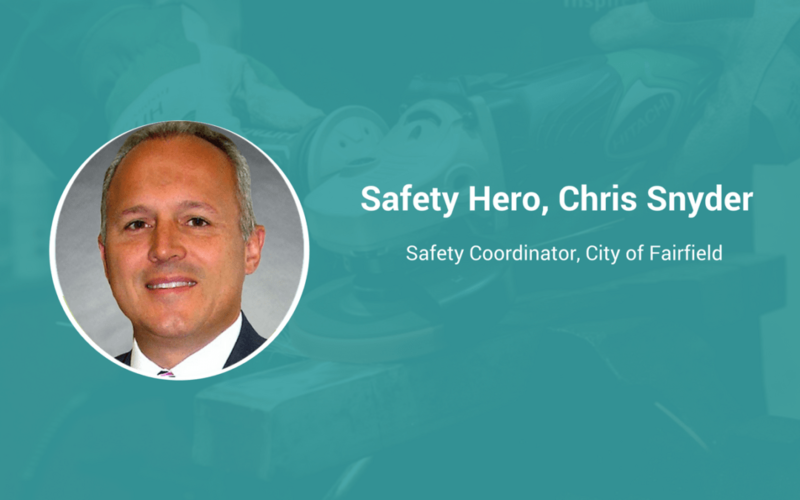 Currently serving as the Safety Coordinator or the City of Fairfield Ohio, Chris proves that safety leaders can do it all! I wanted to do something different than everyone else when I finished high school. So rather than heading to college, I moved to Florida as a 19-year-old kid hoping to find a job. I began my career with Piedmont Airlines working as a baggage handler. I learned everything out in the field and worked my way up from there. I’ve been involved in Safety for 25+ years now, almost my entire career. To be really effective as a safety leader you have to have support from the top. If you don’t have that support, your safety management program won’t be successful. I’ve witnessed two events that changed how I view safety. The first was a plane crash that took 21 lives. I was working on the emergency response team at US Airways when that accident occurred and that experience was one I’ll never forget. The second event was later in my career when I was responsible for Safety at a ground handling company. A 21-year old girl flipped a baggage tug while driving it at a high rate of speed. The baggage tug pinned her leg against the concrete, dragging her nearly 30-feet. Surgeons tried to save her leg but couldn’t. Luckily she was wearing her seatbelt. It actually saved her life that day. Those two events put my role into perspective and continue to remind me how important safety is at our jobs. Safety is about more than an individual – it’s about that individual’s family. It’s so important for workers to be safe because they have people that love and depend on them waiting at home. Their loved ones are depending on them to be safe. To come home the same as when they left. I have a strong attention to detail. One of the important skills to have in performing operational safety audits is having a strong attention to detail. When you inspect a facility or operation, you have to pay attention to everything. I constantly look for “hidden hazards” when I perform safety inspections. I would make a change that incorporates safety into the organizational structure of a company – change it from a side function to a main part of the company’s operations. Some companies look at safety as a spot they must fill to satisfy regulatory requirements. It needs to be incorporated in the overall business plan so everyone knows the importance of safety.